C Company remained at An Khe during the first week of November performing security duties for the Camp Radcliffe base camp. On the 7th the company returned to the Bong Son area with the rest of the battalion ready to begin a new round of searches for the enemy in the mountains and valleys west of the coastal flatlands. Following up on a LRRP team ambush on the 8th of November, C Company made light contact near 506 Valley, an area the company would spend much of the rest of the month in and around. The 506 and the Suoi Ca Valleys served as infiltration routes from the West toward the rich coastal plains, and the mountains enclosing the valleys were also rich hunting grounds concealing many Communist rest, training and base areas. There had been a noticeable increase in VC and NVA sightings here and the 2/5 Cav was tasked to halt the enemy movements. Nature became the opponent on November 9th when Typhoon Freda made landfall at Tuy Hoa and headed toward the Bong Son operational area. C Company established an FOB on a hilltop and was told to dig in deep and, by the way, "...there probably wouldn't be any helicopter support for three to four days." The company spent several quiet and wet days on the hill and then resumed normal patrol operations. 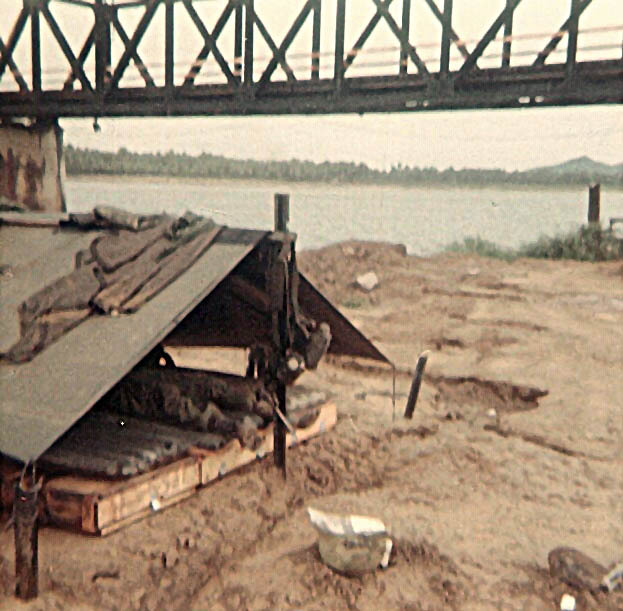 Pulled in from the field, C Company provided firebase security for several days before moving to the Bong Son Bridge on Highway 1 about November 18th to guard that site. Bridge duty was always welcome and the four companies of the 2/5 Cav rotated responsibility for its protection, usually spending a week at a time at that location. After a week at Bong Son, the company returned to the mountains and the valleys to the west. The new Battalion Commander, LTC Joseph Love, had instituted a policy called the "mini-cav" in which a platoon from one of the field companies was kept airborne in Hueys while looking for targets of opportunity. If any suspicious activity or group of people was spotted the platoon made an immediate assault to the location. This tactic proved very successful in catching VC who were trying to move in small groups during the daylight hours. 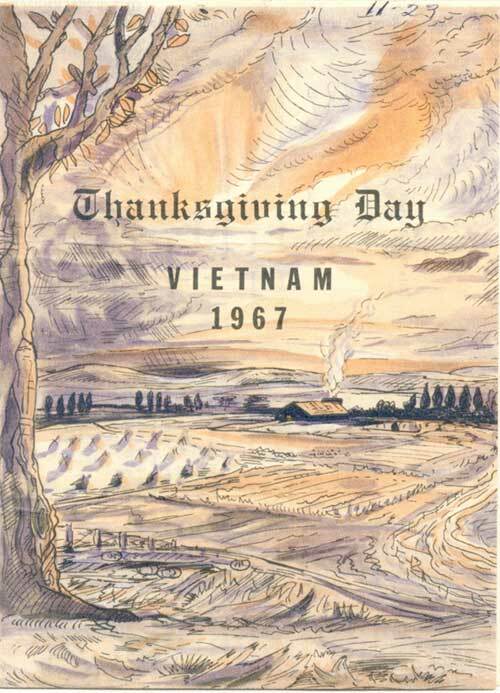 Top Far Right : The Thanksgiving message sent out by LTC Love, Commanding Officer of the 2/5 Cav. 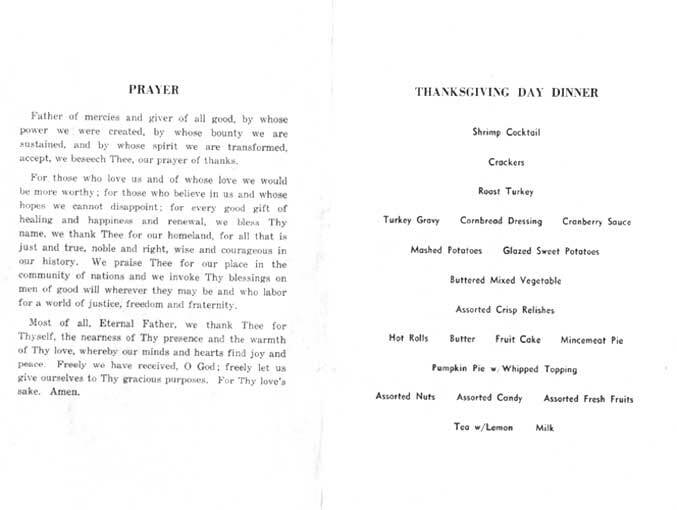 Bottom: The Thanksgiving dinner dinner menu. 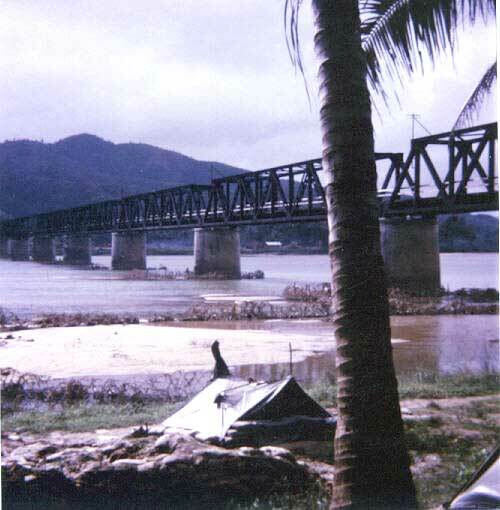 The meal was served on the south end of the railroad bridge near the village of Bong Son in northern Binh Dinh Province. 1st Platoon suffered heavy casualties from a friendly fire incident involving two Cobra gun ships. The location was at coordinates BR 848743, Map 6837-3. This is on a northeastern buttress of a mountain near the southern end of 506 Valley. Most C 2/5 Cav troopers merely called it "The Mountain." 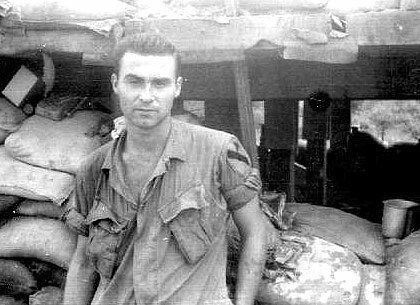 I remember we were on patrol coming off the side of a mountain when we had jumped at least one NVA soldier and he hauled it and left his back pack behind. I believe the point man fired some rounds but we did not get him. The forward platoon went on down the well-used trail we were on, but was told to hold up and take a break while we checked out the back pack for intelligence. Two Cobras were called in to prep the area ahead of us, but when they flew over they saw the forward platoon setting off the side of the trail, they thought it was an ambush and opened up. Doc Shepherd was killed. When everyone who was hurt was taken out, there was only 1 or 2 left in that platoon. Some returned the next day and some later. I don't know how many never returned to the company. 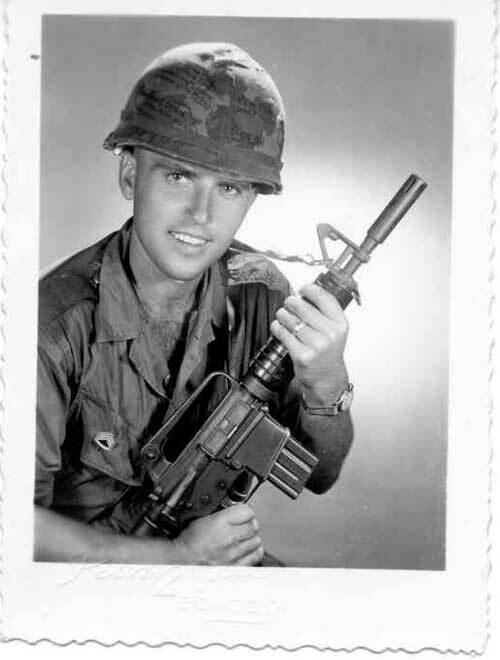 SP5 Larry Shepherd, a medic with 1st Platoon, was killed by shrapnel to the right side of his chest. Some views of the Bong Son bridge. 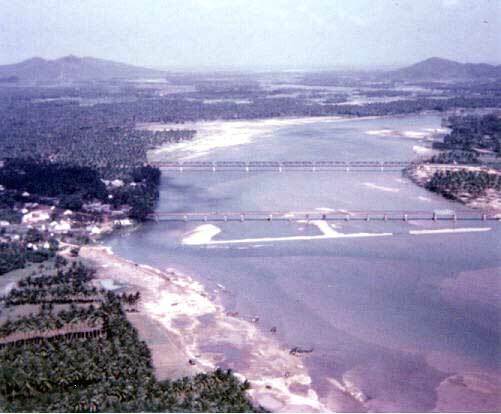 The top aerial view shows both bridges. The uppermost railroad span was the important bridge as it was intact, while the smaller bridge below had a span blown out. There was a pontoon bridge to replace that blown span. Notice the small specks on the river banks at the lower left. These were Army trucks being washed. The middle photo shows the railroad bridge as a backdrop to some trooper's poncho hootch. The bottom shows a hooch at the southern end of the bridge. 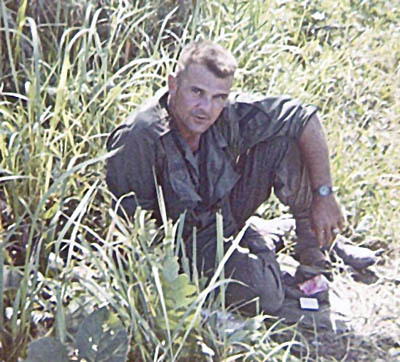 Roger Shirkey was the 2nd Platoon medic in late 1967. He's shown here next to one of the bunkers at the Bong Son bridge. This picture was taken in late 1967 in Bong Son while on "Bridge Guard", you still can see (however faintly) the water marks on the bottom of the picture.